The issue with any calendar, the reason it will have issues, is because nature isn't exactly set patterns that can be predicted and set down in a mathematically defined calendar. So we keep refining the calendar to try to better reflect nature, but never get there. So we have many ancient calendars that were lunar based, 13 28 day months, so 364 days a year, and others that are solar based, but 12 30 day months, so 360 days, and some have an extra 5 days outside to get it closer. Both of those wander slowly over the decades. So the Julian tried to fix this by having 365 days with a leap day every four years, but even that wandered by three days every four centuries, and got ahead, so the Gregorian tried to correct this by first resetting it to where it had wandered from, then taking out some leap days to avoid the wander. And later we added a leap second, but it still doesn't exactly work. Because the solar year is tied to the rotation around the sun, not the daily rotation of the earth. The two aren't connected at all. Just as the moon's monthly cycle isn't tied to either. You can't define a solar year, a lunar month, or an earth day by each other. So no calendar will ever work 100% the way intended. All the calculator does is convert between the different calendars, not define exactly when the solstice or equinox or cross-quarter really occurs. 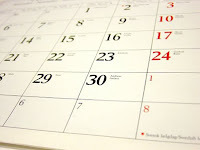 But the feast days were defined by the Julian calendar, not by the true dates of the event that earlier existed. 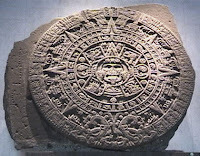 In the two examples you listed, more than likely, that was when the Solstice was thought to be at, because that was probably when the Solstice was when the Julian calendar was first created, so we kept that date, ie, December 25, even though we adjusted the calendar, so the Solstice lands on December 21 or 22 depending on the year, yet Christmas is three to four days off. The Solstice hasn't moved, just the calendar day it lands on. If we want to go by the calendar, we won't stay accurate to the astronomical event, and if we go by the astronomical event, we won't be consistent to the calendar. But is it the calendar that truly matters? And is it the astronomical event that really matters? We say that the Autumn Equinox is the beginning of Autumn, the Winter Solstice is the beginning of Winter, the Spring Equinox is the beginning of Spring, and the Summer Solstice is the beginning of Summer. But where is this true? And when? In Argos, there were two Horae, who represented Summer and Winter, but in Greece, there were three, basically bloom, growth, and harvest, Spring, Summer, and Autumn. Later, the became four, from which our seasons come, before they became the hours, of which there were nine or ten, and later 12, which became our 24, 12 of night, 12 of day, at the Solstices. In Wyoming, Winter begins some time between September and December, depending on the year, but always well before the Solstice, usually closer to the cross-quarter, Samhane or whatever name. Spring usually doesn't come until May or June, so later than the Equinox, closer to the cross-quarter, Beltaine or whatever name. Summer doesn't usually start until well into July, after the Summer Solstice, and Autumn starts early August to late September, depending on the year, usually well before the Equinox. So the feasts, the Solstices, the equinoxes, the cross-quarters, Don't match too well. And it varies from year to year. Two years ago, Winter came mid September and snow fell and stayed until mid June, Spring was a month, then Summer lasted until late September. Last year, Autumn went from late September until mid November, and Winter from then until a week after May Day. But that was in the valley. In the mountains, a half hour from town, all the roads were closed under twelve feet of snow until mid July this year. And Autumn started around Labor Day, which was September 5 this year. Snow came last Saturday, about a foot, but it's definitely still Autumn now. It was back up to the 60s F the last two days. So you can't match the seasons to a calendar, nor to astronomical events. What are we actually celebrating at the Solstices? The Equinoxes? The Cross-Quarters? The Feast Days? The Saint Days? Any other day? That's what we really need to decide. That's what will tell us when they should occur.